Monday, September 1st is Late Nite Networking at 8:00 PM at the Cheyenne Grill in the Peachtree Battle Shopping Center on Peachtree Street in Atlanta just south of Lindberg Dr. I’ve been told that the Management at the Cheyenne Grill (Mike Gross and his partners) have renovated the room we normally meet in since our last meeting, so we are all looking forward to seeing the new changes. We will be giving away several prices this month that you must be present to win. Be sure to bring your business cards to you can get in on the drawing and have plenty of cards for sharing and networking. 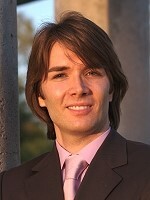 Dr. Stefan Kasian is a Professor of Psychology, published author, and international public speaker. Let’s face facts. Credit repair doesn’t work anymore. I’m sure you have tried or at least heard of Lexington Law Firm. The letter writing paper mill that churns out letter after letter for you. They mail it to the credit bureaus in hopes some minimum wage employee reading it will help remove that late or charge off for you. That may have worked years ago. But bureaus have tightened up. And wised up. Unfortunately most credit repair programs use that same old outdated technology that doesn’t work. Believe me, I’ve tried them. I have the same clients you do, that need help getting financed, and until they get financed, that’s a $17,000.00 profit check I don’t have in my hands. And it’s usually credit problems holding them back. 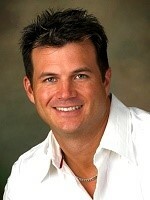 We’ve been busy since starting our new Atlanta REIA group back in mid June 2010. This post is designed to keep you updated on what we’ve been up to lately. Be sure to check to Join Our Email List so we can email you all of our latest updates and event notifications. You now have 3 ways opportunities to stay plugged in to our Atlanta REIA group for all your real estate information, training, networking and community service needs! 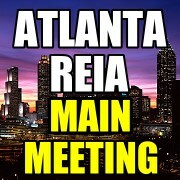 Atlanta REIA Main Meeting is held on the 1st Monday of the month at 5:30 PM at the Doubletree Hotel in Roswell, GA.
Atlanta REIA North Meeting is held on the 3rd Tuesday of the month at 6:00 PM at 1960 Skylar Hill Dr, Suite D, in Buford, GA.
Atlanta REIA South Meeting is held on the 2nd Thursday of the month at 6:30 PM at Ryan’s Restaurant in Stockbridge, GA. In case you could not make our South Meeting, you will get a 2nd opportunity to hear Dustin Griffin talk about how you can easily start to dominate your local competition online in a few short weeks rather than years by using simple, easy-to-implement internet marketing techniques! Come learn how to leverage of the power of the Internet so you can get more leads and more deeds and stay a step ahead of your competition. 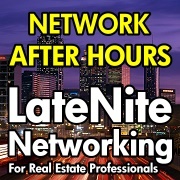 There will be Late Nite Networking at the Mall of Georgia Taco Mac following the meeting at 8:30 PM. Come Network with Other Real Estate Professionals! We now have 3 opportunities for you to come network with us and other Atlanta area real estate professionals. Come eat, drink, network and have fun with us! Late Nite Networking Main Meetup is held on the 1st Wednesday of the month at 8:00 PM at the Cheyenne Grill located at 2391 Peachtree Rd NE Atlanta, GA 30305. Late Nite Networking Atlanta REIA Meetup is held on the 1st Monday of the month at 8:30 PM in the lounge of the Doubletree Hotel in Roswell GA following the Atlanta REIA Main Meeting. Late Nite Networking North Meetup is held on the 3rd Tuesday of the month at 8:30 PM at the Mall of Georgia Taco Mac following the Atlanta REIA North Meeting. You might not have noticed since it is so new, but AtlantaREIA.com has been online for almost two weeks now. We’ve been working hard to lay a solid online foundation from which to build our new group. For now, AtlantaREIA.com serves as our official website to see our scheduled meetings, seminars, workshops and networking events as well as our volunteer community service workdays with the Fuller Center of Atlanta. Soon we will be adding our new webinar schedule, podcasts as well as our new, private, Member Only, REIA Manager Membership Site. We’ve added an Email Updates subscription box to the upper right-hand corner of most pages on the AtlantaREIA.com website. Here you can join our mailing list to receive our Atlanta REIA Newsletter and email updates and stay connected and update on what’s going on at Atlanta REIA. Join Today so you don’t miss a thing! We’ve also added a Blog Updates subscription box to the upper right-hand corner of most pages on the AtlantaREIA.com website. Here you can sign up to have Google Feedburner email you an update when we update our Atlanta REIA Blog. FeedBurner also makes it easy to receive content updates in My Yahoo!, Newsgator, Bloglines, and other news readers in addition to email updates. Click on the RSS Feed icon to the right for more info. Do you need to get your Short Sales through Faster? Are you unsure why your short sale is taking so long? Have you submitted all the documents and it seems like the mortgage company has put the brakes on your deal? Join Super Smart Power Hour with Kimberlee Frank a licensed Real Estate Broker/Investor who will share the secrets of her success to get the short sale approved faster than before. The mortgage industry has changed and it has caused a delay in getting your files approved. Learn what additional forms are necessary to get them accepted quickly. Kimberlee will be sharing with us all the latest tips and tricks on short sales and answer your questions on this monthly webinar. Join us on the webinar on first Tuesday of every month!